Vehicle accidents are an unfortunate reality in America. While injuries and deaths have been on the decline since the 1970's, the trend has reversed the last few years. 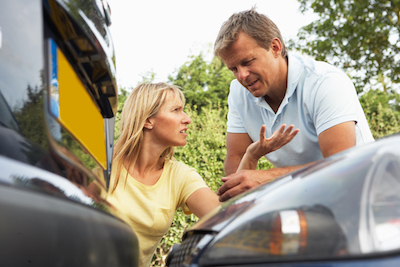 Be prepared to protect your interests if you or a loved one are involved in a crash. The automobile accident attorneys at Petro Cohen Petro Matarazzo have decades of combined experience and have successfully handled a wide variety of auto, truck, and motorcycle accident cases throughout NJ. Call for a free consultation today at 888-675-7607. Keeping a level head after a motor vehicle accident isn’t easy, especially if there are injuries involved. First priority: make sure that help is on the way for anyone who needs medical attention. Then take steps to protect your interests. Learn how with this month’s You Should Know guide on what to do if you are involved in a road crash. In 2016, 62,290 people were injured in New Jersey car crashes, 570 more lost their lives. New driver in the family? This video explains car insurance, how to find and buy it, and how it works after an accident. WHAT BENEFITS AM I ENTITLED TO RECEIVED THROUGH WORKERS' COMPENSATION? WHAT IF I AM NOT GETTING THE MEDICAL TREATMENT I THINK I NEED? Know what to do in the first 10 minutes, first 10 hours after a car accident. Sized for wallet, handbag or glove box.